Junior guard J.J. Frazier posted his second double-double of the season, but it wasn’t enough as the Georgia men’s basketball team fell to No. 17 Baylor, 83-73, on the road Saturday night in the Big 12/SEC Challenge. Georgia (11-8, 4-4) and Baylor (17-4, 6-2) had never met prior to today’s game. 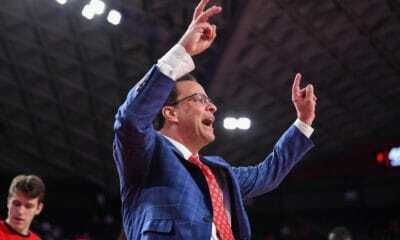 With the loss the Bulldogs are now 12-13 in games played against current Big 12 schools. 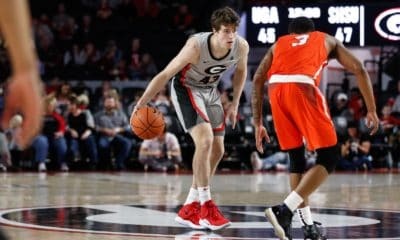 The Bears finished the game shooting 45.3-percent from the field marking the 17th time in its last 19 games that Georgia has held its opponent below their season shooting average. Baylor came into the contest shooting 47.8-percent from the field. UGA was led on offense by J.J. Frazier with 21 points. The junior recorded a career-high 11 assists on the night eclipsing his previous career-high of eight assists set against Chattanooga earlier this season. 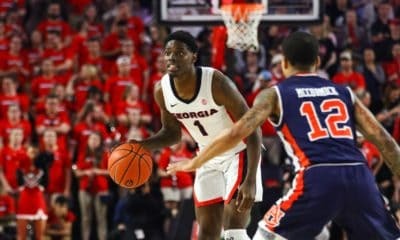 The Bulldogs focused on getting the ball to the paint during the initial minutes of the first half and it paid off with UGA taking an 18-15 lead midway through the period. Neither team could find any separation with no lead larger than five points for either team during the half. Georgia spread the wealth on the offensive end with six different Bulldogs scoring in the first half. Frazier drew a foul with 5.1 seconds left in the half to hit a pair of free throws giving Georgia a, 35-32, lead heading into the break. The Bears opened the second half up with a 17-2 run to take a 49-37 lead before the first media timeout. Baylor’s lead grew as large as 15, but the Bulldogs steadily pulled things closer before cutting the lead to nine after Frazier hit a long three-point basket. The teams traded three-pointers on the ensuing possessions, but Georgia was unable to gain any ground on the Bears’ lead until late in the game. Foul trouble plagued the Bulldogs for much of the second half as the Bears spent the final nine minutes of the contest in the bonus. 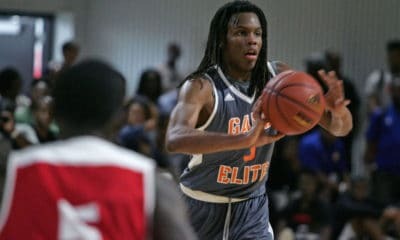 Georgia cut the lead to six points with 1:39 remaining after Kenny Gaines hit an open three-pointer from the wing, but that would be as close as the Bulldogs would get. 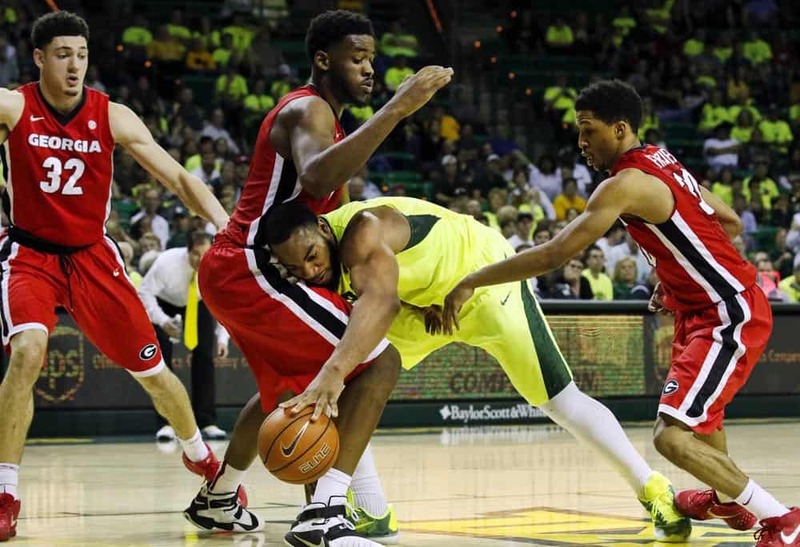 Baylor made eleven of its final fourteen free throws to ensure the victory. The Bulldogs return home to host South Carolina on Tuesday at 7 p.m. ET at Stegeman Coliseum. The game will be nationally broadcast on ESPNU.